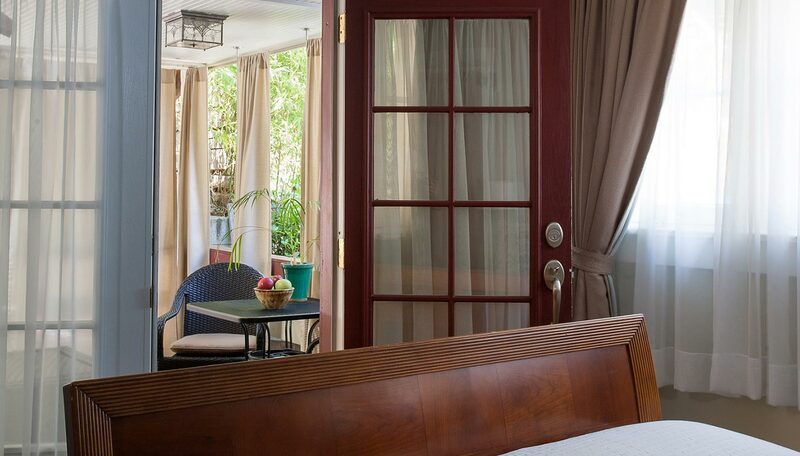 On the ground floor, of the Craftsman Inn, you step down from the deck into your own spacious private curtained porch. 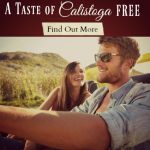 Our Calistoga, CA lodging comes complete with lounging chairs, a coffee table and peaceful palms it’s the perfect spot to relax. Catch up on your reading, enjoy a glass of wine or reserve a private massage for you and your partner. 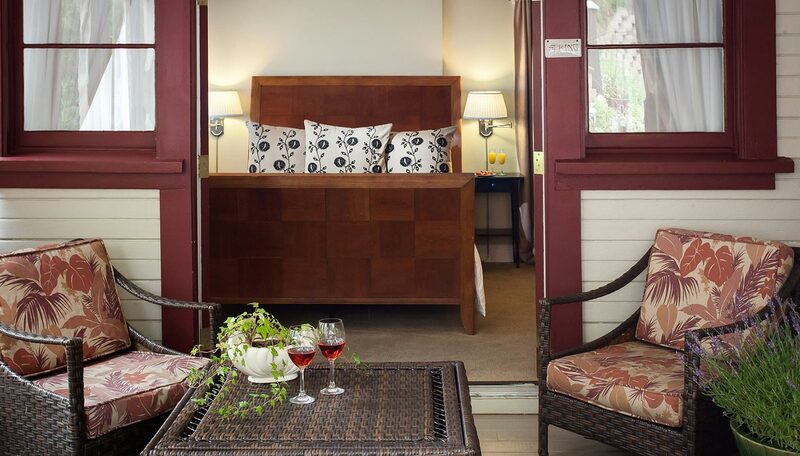 You enter your room through the French doors from the porch. In the afternoon the room is bathed in sunlight from the original swing windows. 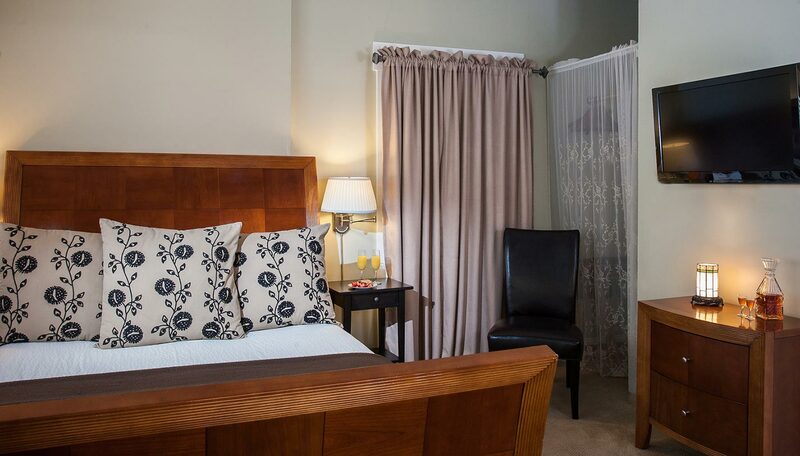 Close the heavy blackout drapes at night to create the perfect romantic sanctuary. Snuggle up and enjoy a movie on your large flat screen TV. 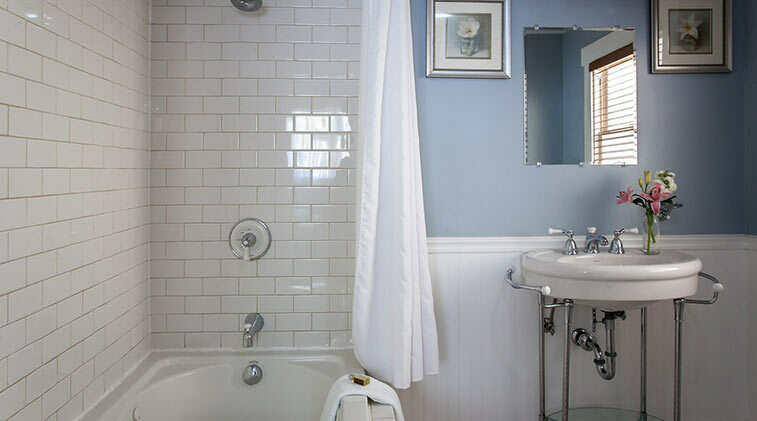 Light the candles, fill the tub and soak your cares away with a relaxing Jacuzzi bath. Then wrap yourself in your sumptuous spa robe and let the night take you away. Maximum occupancy two people. If you are traveling with family or friends this room can also be reserved with the Howell room to create a roomy two bedroom, two bathroom suite that can accommodate up to 6 people. "You have set the standard for our future stays at bed and breakfasts. Excellent time. Thanks!" The ultimate Napa Valley getaway awaits.